Chinese biotech investors are taking an interest in the European market as diplomatic relations with the US become strained. 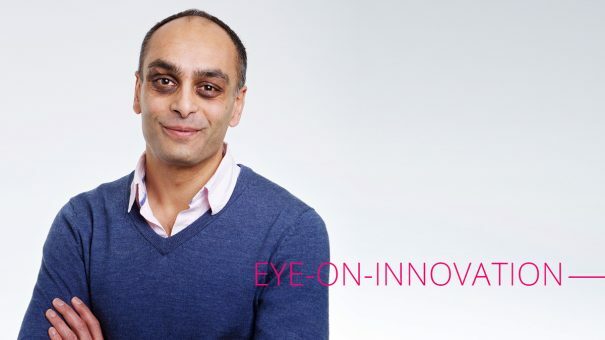 Richard Staines spoke to Nooman Haque, managing director of life sciences and healthcare at Silicon Valley Bank to find out more. Sino-US relations are going through a fraught period, with the detention of Meng Wanzhou, chief financial officer of the Chinese tech firm Huawei in Canada just the latest in a series of diplomatic rows. Meng has been charged with violating sanctions with Iran at the request of US authorities, and as the political relationship has soured, so has the trade relationship. Although the US is now talking about cutting tariffs with China, the behaviour of president Trump is anything but predictable and the situation can change overnight. The uncertainty is driving Chinese investors’ interest towards Europe as a place to invest in biotech, according to Nooman Haque, managing director of life sciences and healthcare at Silicon Valley Bank. Figures released that emerged in the summer backed up Haque’s argument: they showed China is investing nine times more into Europe than it is into North America. According to the report from multinational law firm Baker Mackenzie, newly-announced Chinese M&A activity into Europe in all sectors was $20 billion compared to $2.5 billion in North America in the first half of 2018. The report showed foreign direct investment from China swung dramatically toward Europe – while US revenues fell 92% from $24 billion in the same period last year. Biotech and health were among the main areas interesting Chinese investors in Europe, as well as the automotive industry. Amid the growing trade tensions between the US and China, Chinese firms are also divesting in North America, according to the report, with $9.6 billion being divested in the first half of the year. According to Haque there is a “growing recognition” amongst Chinese investors of the value in the European pharma and biotech market, in early and late stage development. And the UK in particular is of interest because of the government’s decision to back the life sciences as part of its industrial strategy. It’s not necessarily a conversation starter but could help to set the right tone during negotiations. However, getting a return in the short or medium term will be the main goal of Chinese investors, who will be looking for something that will pay off at the latest at some point in 2019. Several European biotechs have already benefited from support from Chinese investors – such as UK-based Kymab. Doing business with Chinese investors is also a different proposition from European and US counterparts, Haque said. One of the main barriers to overcome is a lack of knowledge about markets and products, which will mean taking time to ensure deals reach a conclusion. It’s important to think about the details of any deal, such as whether it will be a joint venture, and how it will be structured, according to Haque. “Thinking creatively about how to get a deal done is going to be key,” said Haque. On the positive side, Chinese investors are starting to set up offices and ramp up their scouting operations in Europe to improve their knowledge, instead of basing deals on flying visits every few months or so. The European biotech investment market lacks the scale of the US, but Haque predicts that Chinese investment will help it to grow in the near future. Despite the big numbers in the Baker Mackenzie report, the Chinese investment will still not be enough to see the European market grow to the same size as the US market, said Haque. But the Chinese investment will allow companies to grow and realise their ambitions – in particular allowing biotechs to grow, let their products gain traction and head through the development process, and go public at the right time. A common issue in Europe is that biotechs often go public before they are ready to be publicly traded because the private venture capital is not available to drive the development process. Chinese investment could go some way to solve this problem, according to Haque, and give European biotechs the breathing space to develop. Nooman Haque is the Managing Director of Life Sciences and Healthcare at Silicon Valley Bank’s UK Branch. He leads a team dedicated to supporting early, growth-stage and established multinational businesses in all sectors of life sciences. Nooman is responsible for expanding the bank’s business in this key sector and working with the global life sciences team to support companies with all aspects of their business, beyond financing.